QWorks has also worked with another Texan, the designer of the C-Betr Mirrors to bring you CBetr Mirrors, P/N CB-02. CBetr is a convex blind-spot mirror system now installed on thousands of Ford® F250 -450 truck models 1999-2007. 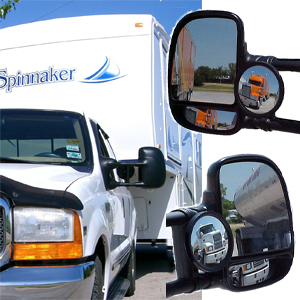 For years, the best looking and most useful blind-spot mirror available. Backing up or changing lanes? Not until you can “see better”. Now there’s also a model CB-2020 for those Class C motorhomes as well. 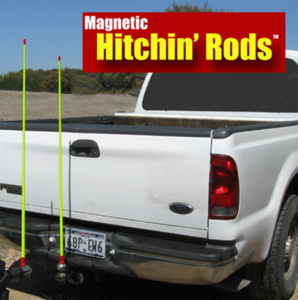 The product that started QWorks, The original Hitchin’ Rods spawned countless imitators. But imitators are not tough enough to stand up to this elegant design. 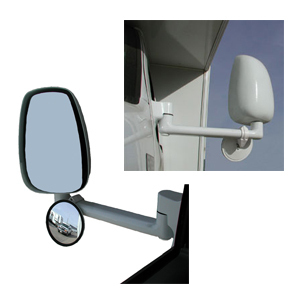 Invented by a retired Texas DPS officer, the C-Betr Mirror, Model CB-02, fits the SuperDuty F250-450, model years 1999-2007. See before you change lanes! Have that Class C with the long-arm mirror? Our DPS Officer came to the rescue again. The CB-2020. A set of 6″ convex mirrors that will help make safer lane changes. See better!